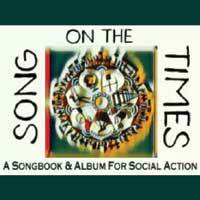 “Picking up the torch of protest folk song for the next generation. Old songs for new struggles. Internationally acclaimed roots group Windborne Singers knew that the social struggles of our times had much in common with earlier struggles of the common folk. Windborne yearned to research, learn and record the music that has sustained some of the bitterest struggles in the history of the last 400 years. The “Diggers” of 1650 England who sought economic equality through reform of the existing social order through their attempts to farm on common land. The “Bloody Harlan” years in the 1960’s when Kentucky coal miners and their families endured a virtual reign of terror in a bitter and protracted labor dispute. The US Civil Rights Movement, with decades of struggle seeking to end racial segregation and discrimination against African Americans and to secure legal recognition and federal protection of citizenship rights. Windborne launched an Indiegogo crowdfunding campaign to create a CD and songbook of this music. They sought $5,000, but were obviously on to something as they’ve raised over $77,000 so far. This is the music that inspired and sustained common people during pivotal moments in human history. Come to meet and learn from these amazing musicians. Hear the stories and the context behind the music, and learn to sing and share these songs yourself. Registration is $30 when received by November 3; $35 thereafter. *Don't miss Windborne's performance, Saturday, November 18 at 7pm! For more information, see our page: Song on the Times: Windborne Live!